We are LIVE FROM COLDSTONE CREAMERY! COME SAY HI! https://t.co/bsrkHrQ5Ot - Posted 10 days ago. Hey RFR Listeners! If you are coming to ColdStone Creamery later the FIRST 100 PEOPLE to come in get Buy 1 Get 1 Fr… https://t.co/qKEhvL2MYL - Posted 10 days ago. RT @RUWeather1: The Radford Highlander Mascot made an appearance on @RadioFreeRaddy this morning. Be sure to check it out: https://t.co/eO… - Posted 13 days ago. RT @RUWeather1: The @NWSBlacksburg has issued a severe thunderstorm warning for Radford City and Pulaski County until 3:30 PM Monday, April… - Posted 14 days ago. 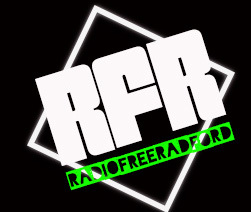 RT @KeatonAlderman: Everyone, tune in to @RadioFreeRaddy at 3 pm for some hoop talk with @marcusburks . NCAA final four and wrapping up the… - Posted 17 days ago. RT @RUWeather1: Be sure and come out to say hello to @RadioFreeRaddy on Friday, April 12, 2019, to @ColdStone on Tyler Ave, from 6:00-8:00… - Posted 18 days ago. Hey RFR fans! April 12th, 6-8PM We will be at Coldstone Creamery on Tyler Ave! Come down and say hi and come get a… https://t.co/XnvlxyxhKM - Posted 18 days ago. RT @RUWeather1: Tune into https://t.co/MtUJEQgoSt at 10 AM, as Weatherman Dustin Staples will be Interviewing @RadfordMTennis team!! @Radio… - Posted 29 days ago.